What a great way to start off the weekend! 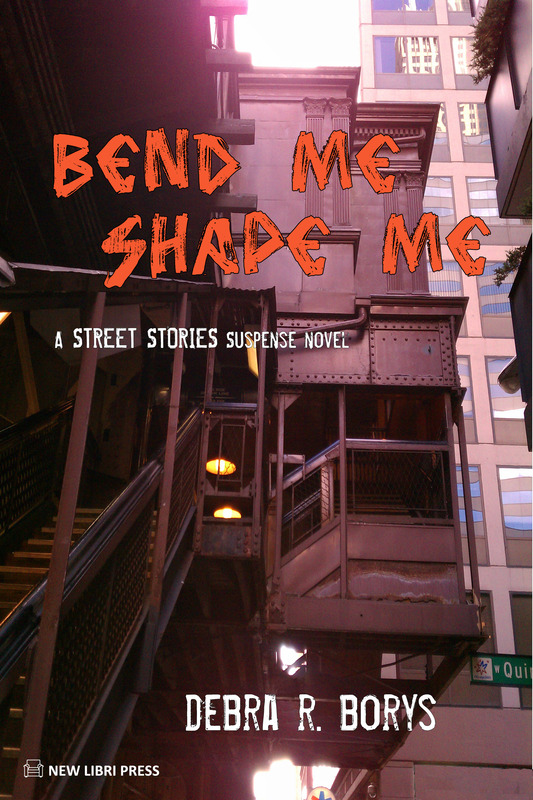 My publisher submitted the ebook version of Bend Me, Shape Me to online vendors earlier this week and just for the heck of it, I went and searched for my name on both Amazon.com and BarnesandNoble.com to see if links to buy the book had gone live yet. The answer is YES! Yes, they have. I have already sent out email notices to my friends, family and fans and changed the Home page here and now I’m letting you know. You can download your epub or mobi files at the links below. I hope you enjoy reading the book as much as I enjoyed writing it. Check back often for news on author events or review excerpts, or Sign Up on the front page here to receive email notifications. Snow Ramirez hasn’t trusted anyone in a very long time, not even herself. Memories of her childhood on Washington’s Yakama Reservation haunt her even on the streets of Chicago. When her squat mate Blitz slits his own throat in front of her, she knows it’s time to convince someone to trust her instincts. Blitz may have been diagnosed bi-polar, like Snow herself, but no way would he have offed himself like that if the shrink he’d been seeing hadn’t bent his mind completely out of shape. Normally she wouldn’t care. Who wasn’t crazy in one way or another in this messed up world? After all, she’d gotten out from under the doctor’s thumb weeks ago and it was too late for Blitz now, wasn’t it? Snow’s little brother Alley, though, there might still be time to save him. If only she can get reporter Jo Sullivan to believe her story before Snow loses her own mind. If you’re not sure you’ll like it, why not download my short story Peeling the Onion FREE on Amazon’s site starting tomorrow March 17 through Thursday March 21. The main character, Star, is a lot like Snow in Bend Me. For those who don’t like ebooks, Bend Me will be available in trade paperback in about two months. If you don’t want to wait for the print version but don’t have an e-reader, you can download free apps from both Amazon and B&N that will allow you to read books on your computer or smart phone. Here are links to their websites—just pick the app relevant to your device. Want to help spread the word on Twitter? Reblogged this on Debra R. Borys. whoah this blog is magnificent i love reading your articles. Keep up the great work!